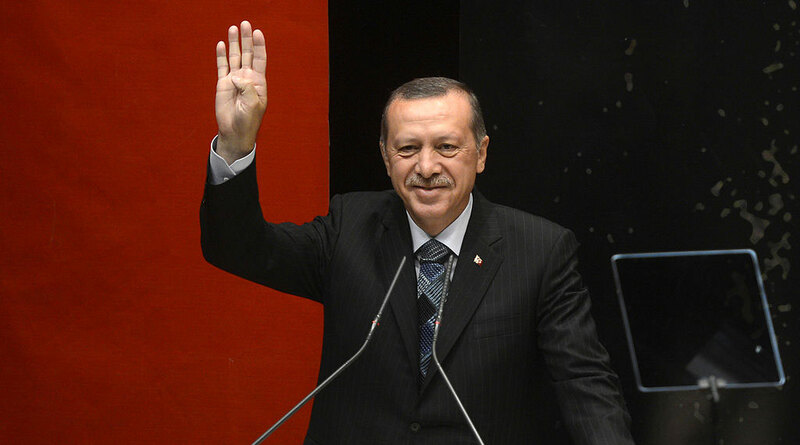 Turkey’s moribund bid to enter the European Union has been renewed in the past decade. The war in Syria, while catastrophic in so many other ways, may well provide an additional boost to Turkey’s attempts at getting a place at the European table. Although talks had been in progress since 1959 for Turkey to join the European Union (previously the European Economic Commission), negotiations picked up steam only around August 2005 after Turkey submitted to all the preliminary criteria for joining the union. Since then, Turkey’s ambitions to join the Union have been obstructed by many domestic issues such as the Cyprus Island dispute, opposition on ethnic and religious grounds by member nations, and the non-adherence to the Copenhagen limits. Among all these issues, the war in Syria since 2011 has played a major role in influencing decisions taken both in Turkey and the EU. To catalyse the fall of Syrian president Bashar al Assad, Turkey turned a blind eye to the flow of foreign fighters into Syria through its southern borders. While the perceived benefit of this move was quite high, it never materialised for the country. The conflict has protracted, due to a disunited opposition and support coming in from Russian and Iran leaving Assad still standing. The conflict has forced Turkey to deal with the massive influx of over three million refugees into its country as well as increasing terror attacks perpetrated by ISIS especially since the beginning of 2016. ISIS had used Turkey’s lax laws to bring in fighters from the rest of world thus rendering the Turkish open border policy quite harmful to the nation. Furthermore, due to the terror attacks, the tourism industry had also been hit. Contributing to a large part of the GDP, the loss of incoming tourists due to security considerations coupled with Russian sanctions on its citizens travelling to Turkey had been a major blow to the economy. Attacks on Istanbul have especially affected those employed by the tourism industry. This will put an additional financial strain on an economy dealing with the repatriation of the millions of Syrian refugees who have escaped Syria. All these factors have made Turkey’s policy of ignoring the rebels coming into Syria a serious problem it now has to deal with. Amidst all the problems stemming from the Syrian conflict, a silver lining seems to be emerging for Erdogan vis-à-vis EU membership. Due to the massive influx of refugees from Syria and Iraq into Europe, European countries have softened their stands over Turkey’s accession, especially Germany which was a virulent opponent of Turkey’s entry to EU. In March 2016, Turkey signed a deal with the EU whereby it agreed to take one undocumented Syrian refugee from Greece and resettle one Syrian refugee legally to Europe in exchange for the EU providing approximately three billion Euros to Turkey. The deal has now come to fruition for the European nations with arrivals to the borders in Greece reducing from more than 50,000 a month before February to less than 8,000 a month shortly after the deal was finalized in April. Consequently, Turkey is now in a position to push for visa-free travel for its citizens within EU, a potential precursor to the country’s formal entry into the organization itself. Furthermore, the selection of refugees to be sent to EU is largely the responsibility of Turkish authorities who have been choosing the least educated and less healthy refugees to send over, while keeping the educated refugees. Turkey’s repatriation of the refugees from Greece has other perks for the Turkish state as well. This has to do with the Kurds, a minority population in the South Eastern part of Turkey, that have long been agitating for autonomy. Following years of conflict and two ceasefires, the latest in 2013, Turkey, according to Kurdish sources began bombing Kurdish positions while claiming to target ISIS. This has led to a collapse of the Turkish-Kurd ceasefire and the resumption of hostilities. Although the European nations condemned Turkey’s positon, they have of late been silent on punitive action, including bombings, taken by the country against the Kurds. This is because of Turkey’s perceived role as a game changer in the war against ISIS as well as the refugee crisis. This was evidenced by Turkey’s entry into the Syrian town Jarablus and its victory over ISIS militants. This operation has given Turkey increased military credibility allowing it to compel even Washington to review its alliance with the Kurds. On a more fundamental level though, Erdogan hopes that the inclusion of Turkey into the EU will allow the Kurds and other minorities to shift to other parts of Europe. This would give them better opportunities elsewhere and subsequently dilute their desire to become an independent people. This has been reflected in the statements of a Kurdish member of the Turkish parliament who remarked that there would be mass migration of Kurds to the EU if the visa restrictions were to be loosened. Another way Erdogan has gained is the issue of anti-terrorism laws which have been highly criticized for their anti-democratic nature, including limitations of the freedom of speech and press. Writers and journalists who speak up against Turkey’s suppression of Kurdish rights have been fired from their jobs or arrested at the behest of the government. The recent terror attack on the Istanbul airport allowed Erdogan to persist with the laws on the grounds of foiling further terror attacks. Indeed a European Union commissioner recently expressed his understanding for the rationale behind these laws. Lately, representatives of countries like Austria have expressed their refusal to admit Turkey into the EU due to the Erdogan administration’s action against suspected perpetrators of the coup. However European delegations are still entering the country trying to rebuild relations. This stems from the fear of further refugees entering Europe, an issue which has eroded the political capital of heads of state across the continent—German Chancellor Angela Merkel being a prominent example. It is obvious then, that Turkey’s geographical location has provided Erdogan with a strong bargaining tool enabling him to maximize his political gains. If the Syrian war were to continue posing problems to the countries of the European Union, it wouldn’t be improbable to see the EU heads relax their stance on Erdogan’s increasingly authoritarian tendencies. While this wouldn’t necessarily guarantee Turkey’s guarantee into the EU, it would definitely give these ambitions a boost. See report by Tocci, Nathalie. 2014. Turkey and the European Union: A Journey into the Unknown. Turkey Project Policy Paper, Washington DC: Brooking Institute: Center for the United States and Europe.